According to the historian of science Thomas Kuhn, scientific paradigms change only at glacial speed. Even as evidence in a particular scientific field mounts to challenge existing theory, a field’s professionals, institutions, associations, and journals often acknowledge and embrace the new paradigm over the course of a generation. This is clearly happening in the field of psychology, where brain science is challenging and undermining much of what used to be orthodoxy in the discipline. This article argues that much the same is happening with respect to our understanding of culture in business. Beginning in the early 1980s, a generation of management consultants, scholars, and practitioners established a particular point of view, or paradigm, regarding the role of culture in business decision making, employee morale and energy, and strategy execution. Much of that discussion has taken place within the pages of the Harvard Business Review, even as recently as the Jan-Feb 2018 issue. Our leading consultancies also work within the established ‘corporate culture paradigm,’ which further spreads the existing orthodoxy across companies across industries. Today, as members of Gen X, Gen Y, and Gen Z become more central figures in large firms, and as the cultural values of the sharing economy permeate social life, consumer behavior, and organizational life, it is time to reassess what we mean by corporate culture. The broader cultural values of the sharing economy- transparency, autonomy, community, collaboration, protean careers- have yet to be factored in to what we think of when we think of culture in companies. What we see today, both within and outside of firms, is much closer to what Douglas Holt describes as ‘crowd cultures’ than it is to the myriad versions of culture types that still largely define the corporate culture paradigm. In this article, I first outline the structure and assumptions that underlie the corporate culture paradigm, and then discuss how that paradigm is out of step with the fluid and porous nature of culture on the ground today. As public firms become increasingly oriented towards institutional investors and share-price management in the context of a significant generational shift (from Baby Boomers to Millennials), the very notion of corporate culture loses much of its valence for many of the young knowledge workers in those firms. Secondly, I provide a scientific, anthropological re-assessment of how we can better understand the role of culture in business. This requires us to look at culture as more of an exogenous dynamic to be embraced than an endogenous system to be managed. firms, the business cultures of coworking spaces provide a new opportunity for firms to connect meaningfully with young talent in a potentially more sustainable type of employer-employee relationship. Finally, I provide a framework for how firms can participate in and leverage the culture of the sharing economy to their advantage. The model is grounded in twenty years of consulting with small and large firms around issues of culture, leadership, and innovation. As a trained evolutionary anthropologist, I want to inject a greater level of scientific understanding into the challenge of managing culture in the sharing economy. The corporate culture paradigm (CC paradigm), as it has been institutionalized in business, is premised on a specific intellectual traditional within anthropology.- interpretive anthropology. Articulated by Princeton’s Clifford Geertz in the 1970s, interpretive anthropology is a humanistic (‘non-scientific’) approach to understanding culture. Geertz’s emphasis on values, beliefs, and behaviors has had enormous resonance among the scholars and consultants behind the corporate culture paradigm- Ed Schein, Tom Peters and Bob Waterman, Jim Collins, Terrence Deal and Allan Kennedy, Dan Denison, Jon Katzenbach, Jon Kotter, etc. It is from this one intellectual tradition within anthropology that the paradigm is descended. Interpretive anthropologists define culture as the values, beliefs, and behaviors that people share as members of a social group (country, region, ethnic group, organization, etc). This frames the default definition of corporate culture as “the way things are done around here.” In the early 1980s, when the CC paradigm was being established, it was very helpful and useful to ask business leaders to focus, as Peters and Waterman did in In Search of Excellence, on the ‘soft stuff’ of organizational life. The emphasis underscored the fact that organizations are more effective when employees feel like they are on the same page, and when they feel good about their work, their colleagues, and the company. When members of a company have a shared sense of purpose (i.e. the ‘company culture’), they tend to work more effectively in executing company strategy. Peter Drucker’s famous dictum that ‘culture eats strategy for breakfast’ is derived from this understanding. In this respect the CC paradigm has been very important. However, from a scientific-anthropological perspective, it is worth asking: What is the relationship between what we call ‘corporate culture’ and Culture? Is it enough to simply say that culture is made up of those thoughts and feelings that bind people together? As I suggest in the article, the humanistic perspective on culture (the CC paradigm) is insufficient to the task of fully understanding the evolution of culture as it is unfolding today in the sharing economy. Perhaps the CC paradigm is effective in describing the policies and prodecures within a particular company, but those descriptions remain disconnected from what we know about Culture in a broader sense. Interestingly, advances in brain science are contributing to the advancement of anthropology and our understanding of culture as much as they are to the discipline of psychology. In his book, Wired For Culture, evolutionary biologist Mark Pagel explains how culture is much more than values and beliefs. Culture, according to Pagel, is the very mechanism that has enabled humans to evolve successfully as a species. Culture is a capacity wired in the human brain, and is the mechanism by which humans observe others, learn from others, mimic others, communicate with others, and share and store information within and across generations. If the capacity for culture is the hardware, then shared, stored, and passed-down information and knowledge is the software that drives the hardware. The collective store of knowledge and information, differing in different parts of the world, is what enables groups to more effectively adapt to their specific environments over time. In this respect, culture is a central driver of human evolution, more than just a collection of values and beliefs. Culture necessarily exists at two levels at the same time. On the one hand it is a genetically wired capacity (the ultimate human capacity) that resides at the individual level in the brain. On the other hand, by its very design, it is a social capacity because it depends on interaction- observation, learning, communicating, transmitting- between people in groups. This basic fact, that culture is both individual and social at the same time, has thrown off scholars for years. Culture’s power in the course of human evolution is its role in harnessing knowledge and ‘know how’ over the generations that empowers each successive generation with the cumulative knowledge of preceding generations. At the individual level, though, culture is equally powerful. That is, each individual is designed for culture and the related social connections and communities that actually complete the ‘individual->collective equation.’ Herein lies the human need for belonging to some form of group. What originated as a survival skill within humans has become an individual need for cultural identification. The actual social substance that fulfills the individual need is arbitrary. That culture is an individual need, and the social expression of a collection of needs, is challenging for scholars who seem to want it to be one way or another. If humans are wired for culture, and thus have an innate need for cultural identification (‘culture needs’), and the specific individual-to-social attachments are arbitrary, an interesting question arises: To what extent do the relationships, collaborations, attachments, securities, etc., that come from working in a company fulfill the ‘culture needs’ of the individuals involved? That seems to have changed over time. It is perhaps the case that from roughly 1950-1990 there was a broad alignment between mainstream cultural values and the expressed values and commitments inside specific companies. During this “golden age” of company culture, the HP Way or being an IBM Man possessed great valence in terms of fulfilling employees’ culture needs. As Jim Collins has argued in his series of books, ‘great companies’ have often been successful through time because of such cultural alignment. Fast forward to the present, and the alignment between individuals’ culture needs and the expressed values and beliefs of many public firms is dissipating. Outside of regions such as Silicon Valley, there is a visible chasm between the values of young knowledge workers and the ‘corporate culture values’ of the companies for which they work. The golden age of corporate culture is over, and the employer-employee relationship is now mostly transactional The once vaunted and even sacred bond of corporate culture is giving way to a new sharing economy paradigm of cultural identification. The center of gravity in the sharing economy is the relationship between the individual knowledge worker and her/his primary community, not so much with their employing organization and its engineered ‘shared values and beliefs.’ As a source of income and job security, large firms remain central to the careers of young knowledge workers. At the level of culture need, however, they no longer win the hearts of minds of members of the rising generations. To understand where that cultural identification is occurring, we must now look outside the firm. The CC paradigm assumes what anthropologists call an endogenous model of culture. Endogenous social forces are internal to a specific group, they arise from inside the group, they are shared internally, and the default assumption is that the overall cultural experience that people have in the group is defined by those internally circulating practices and values. An exogenous model of culture assumes that, more often than not, much of the content (behaviors, practices, material artifacts, values, etc) experienced inside a group is actually derived from outside the group. Whereas an endogenous model assumes that culture is insular and resistant to change, an exogenous model assumes an open, porous, and always-change environment. For roughly a generation, around the same time that management scholars and consultants picked up the culture concept, academic anthropology has assumed that culture is largely defined by exogenous forces. Travel, trade, investment, and now the internet have opened the transmission of ideas and values to such an extent that the culture concept itself inside anthropology has lost much of its currency. In the corporate world, on the other hand, the somewhat dated and abandoned perspective of interpretive anthropology (translated as “the way things are done around here”), remains the orthodoxy. In order for firms to continue to effectively understand and leverage the power of Culture, it is important to understand the dynamics of culture today through the lens of anthropology. There are five emerging realities regarding culture that need to be understood before firms can make full sense of the sharing economy (SE) paradigm and its cultural challenges. The manifest (vs. espoused) values of many of our pubic firms are already oriented externally towards the institutional investment community. The core, defining value of most public firms is shareholder value in the near term, not the often humanistic-sounding statements that make up the culture talk of companies. While young knowledge workers need the reliable income associated with corporate work, public companies no longer win their hearts and minds. Private firms are often much more effective at this than are public firms. The culture needs of young knowledge workers are fulfilled externally via social networks and distributed personal and professional communities that have little to do with their employers. Innovation and industry disruption are occurring through multi-party platforms and platform technologies that rely on greater trust, transparency, and collaboration than internally focused public companies are comfortable with. Sharing economy companies (Lyft, Airbnb, Uber, WeWork) have built exogenous business models that more tradition-minded companies now must compete with. It is estimated that Millennials will have between 10-15 jobs over the course of their careers. This means that, to a certain extent, they are merely passing through their current assignment (job). This is part of the oft-cited Bureau of Labor Statistics stat that by 2010 40% of the US work for will be engaged in freelance work. The two career realms- corporate and solo- are now part of the same system. Both metaphorically and practically, the growing industry of coworking spaces is playing host to and giving birth to a business culture that is: 1.) external to companies (exogenous); 2.) made up of large firms, SME’s, startups, and freelancers; 3.) less rule-bound and thus capable of nurturing organic relationships (vs. compulsory corporate ‘bonding’); 4.) cross-company, cross-industry, and cross-disciplinary to an extent never seen before. As a relatively young industry (b. 2005), most people still associate coworking spaces with young freelancers and startups. This is indeed where the coworking industry originated. This is no longer the case. For example, in 2010 85% of members of coworking spaces worldwide were freelancers or employees of startups. By 2017 only 39% of coworking members were freelancers or startups. The difference over those seven years is the rapid growth in the number of large firms who now pay for employees to work from coworking spaces such as WeWork. Corporate users are now the fastest growing segment of users in the coworking industry. 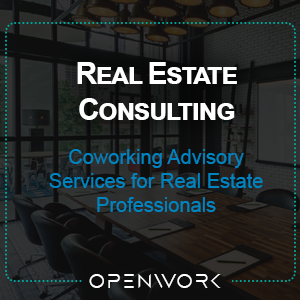 To date, coworking has largely registered as a business opportunity for the real estate industry. Much of the narrative has centered around the phenomenal growth of WeWork, the industry leader. WeWork has raised over $4B in funding and is currently valued at around $20B. They have 295 locations in 61 cities around the world, and have largely defined the industry in the way Starbucks has the coffee shop industry. Of the 27M square feet of office space in the world that is managed as coworking space, WeWork currently operates around a third of that (10M sq ft). Naturally, because it is a new type of sub-letting business model, coworking is fairly classified as part of the real estate industry. However, given the scale of coworking’s growth and in particular the recent growth in the number of corporate members around the world, coworking is also becoming an important site for the development of business culture in the sharing economy. Research conducted by Emergent Research points to further growth in the industry. Nearly as many people cowork (1.7 million) as work at Walmart (2.1 million), the world’s largest private sector employer. According to Emergent Research, more than double the number of people will be coworking in four years (5.1 million) than there are Walmart employees. Currently, in some of the larger coworking locations with 60,000-100,000 sq ft under management, employees from hundreds of companies cowork under the same roof. Unlike their counterparts who work at their company office, these knowledge workers are participating in (and defining) a new form of business culture. This is what exogenous culture looks like in the sharing economy. Thus far I have merely described coworking’s growth and its potential to partially reshape culture in business. However, most company employees do not (and likely will not) work out of coworking spaces, so why should we get ahead of ourselves? The more important questions, which I turn to next, are: Why are so many people attracted to coworking and why is it so successful? Why is it growing so fast? What is it that people like about it, and why do they opt to return to conduct their work there on a daily basis? Seventeen years ago, London Business School professor Nigel Nicholson published a landmark article in the Harvard Business Review entitled, “How Hardwired is Human Behavior?” Nicholson made the case that the relatively young discipline of evolutionary psychology (EP) be incorporated into mainstream management thinking. He expanded on this in his book, Managing the Human Animal. In some respects the article and book proved to be controversial. That said, EP is part of the brain science revolution, and is thus in the midst of the paradigm shift in psychology. I do not defend many of the deterministic claims of EP, but I do think that Nicholson raises important observations that are relevant to modern organizations. Perhaps most powerful is EP’s basic premise that, as a species, humans were not designed to be sedentary cube dwellers. The legacy structure of knowledge work, where each employee is assigned to a fixed workstation where they are expected to work every day, runs counter to the human need for mobility, movement, variation, autonomy, and choice. The traditional corporate office (and systems and processes) effectively constrain people from physically and emotionally embracing their natural rhythms. Coworking environments, to the contrary, allow people to move about, work in a variety of different spaces, and work according to their own rhythms. In this regard, coworking spaces are more aligned with human nature than their industrial/corporate counterpart. Young knowledge workers of the sharing economy, who already express cultural values around autonomy, choice, flexibility, and mobility, are a natural fit for the coworking environment. There is an important organizational dimension to this as well. As Nicholson suggests, “groups work best when they can organize around things that really matter to them and their wider community.” For young knowledge workers, multi-company coworking communities house important elements of their ‘wider communities,’ and in this their culture needs are more organically met. Autonomous corporate groups that are empowered to get on with their work in the context of other corporate groups also doing their own thing, appear to have the best of both worlds. According to Nicholson, “Groups fail in organizations because they are in organizations. They reflect the surrounding culture- rigid, formal, and highly politicized in many cases.” Freed from the mandatory culture engineering of the CC paradigm, corporate teams and individuals working in coworking spaces are allowed to co-participate in the creation of a new type of multi-company business culture that is in some respects liberating, while in other respects confusing. Not only do coworking environments allow people to work more organically according to their own rhythms, there is also a potential productivity premium at play as well. Nicholson talks at length about the innovative potency of regional clusters such as Silicon Valley. Something like this can occur in coworking communities. Clustering “forms the basis of a tribelike agglomeration of interlocking quasi-kinship groups of people who can circulate and innovate as they move around.” Few firms have explored the potentialities for how they might leverage the innovation opportunities that might exist in the new business culture. It is unlikely that firms will shift en masse towards coworking anytime soon. However, there are cultural lessons that can be learned from coworking’s success. Coworking is, in addition to being a new leasing model in the real estate industry, a new modality of work. At its core, coworking is grounded in the emerging cultural values of the sharing economy- choice, autonomy, flexibility, mobility, community, trust, collaboration, transparency, and platform technologies. Empowering young knowledge workers to express and embrace these values in their work is key to managing culture in the sharing economy. The vast majority of culture advice and consulting is premised on the idea that there are a certain number of culture types (or colors), and that a culture survey will help you understand what ‘type’ of culture you have and how to get to the type you desire. These are the bread and butter of the CC paradigm. This is counterproductive, and reinforces an endogenous mindset about companies, their people, and how they interact with outsiders. 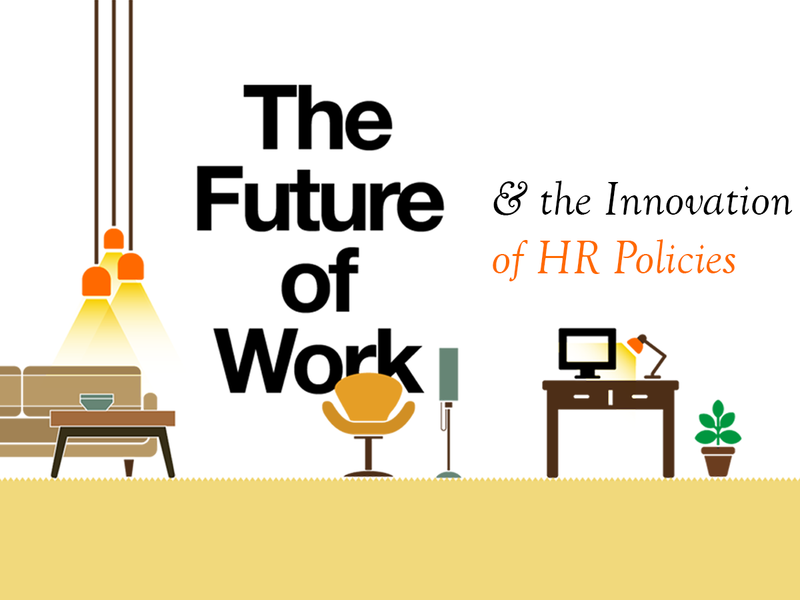 It is important for firms to acknowledge and accept that their young knowledge workers’ culture needs are not likely to be fulfilled by HR efforts at culture building, and that is OK. This does not mean that culture is any less important for them; rather, that they have their own identifications and they will be more ‘themselves’ and more engaged if they can be surrounded by the values of their own exogenous social connections. Whether within the firm or externally in places such as coworking spaces, allow employees to ‘cowork’ with people from other industries and companies on a regular basis. If you put some structure around this and encourage employees to look for cross-industry or cross-company collaboration, new product, service, or business model innovations might develop more organically and inexpensively than is currently the case. Current low levels of unemployment are partly a function of a growing economy and partly a function of the fact that many knowledge workers have opted out of traditional corporate employment and work for themselves. This means that a large talent pool is out there that does not want (expensive) benefits, but wants to work with you on a specific project. If you think of your cultural footprint exogenously and inclusively, you can attract top talent more cost effectively. Enabling knowledge workers to work according to their own rhythms, in such a way to get their best work, is not rocket science. Too often firms equate ‘workspace’ with exquisitely expensive designs and furniture. Legacy thinking and costs make the shift to coworking-like work environments cost prohibitive. Young knowledge workers want flexibility, collaboration, and productivity more than they want monuments to design. Empower young talent to bring their own design sense in-house. The institutional inertia of the corporate culture paradigm remains strong. For many managers and consultants, the sharing economy and its emergent cultural values are still pesky upstarts. The very notion of ‘unicorn companies’ implies that some still believe that a real paradigm shift is unlikely if not impossible, and that sometime soon the bubble will burst and the economy will reset to normal Such is the nature of paradigm shifts and the resistance to them. Because of this, I do not anticipate the currency of the corporate culture paradigm fading very quickly. However, if you step into a WeWork location in the middle of a busy weekday and see thousands of knowledge workers from hundreds of companies coworking together, it begs the question: What is the culture of this place? No ‘culture types’ will be found, just culture-bearing people working together. This article authored by OpenWork Agency Partner, Drew Jones, PhD.